ATLANTA, March 12, 2019 /PRNewswire/ --Lectra is pleased to announce the appointment of Edouard Macquin to President of Lectra Americas. He will continue to develop Lectra's fashion, furniture and automotive leadership across North and South America, empowering forward-thinking brands to realize new business and product opportunities. Edouard joined Lectra in 1987 and over his 32-year career with the company has established an unbroken track record of success in France, Italy, the United States and Brazil. In 2000, he was appointed Director of Lectra Brazil and solidified the company's position there as an industry standard-bearer. In 2011, Edouard Macquin took the lead as Lectra's global Chief Sales Officer and in 2014 became a member of Lectra's Executive Committee. When he joined the executive team, Lectra had identified five strategic objectives to progress the business: accentuate technological leadership, strengthen Lectra's competitive position and long-term relationships with customers, accelerate organic growth, boost profitability by increasing operating margins and generate free cash flow to finance future growth. Edouard Macquin's successful sales approach, along with his ability to understand the ground-level innovations that impact global corporate success, helped Lectra surpass its executive objectives. He is now instrumental in Lectra's strategy to reorganize its subsidiaries into four main regions and appoint the region leaders to the Executive Committee. The move aims to adapt the Lectra 4.0 strategy more effectively to Lectra's different markets, accelerate business development and strengthen synergies within each geographical area. "With his ability to execute on our entire range of technological solutions, there is no better choice to lead our Americas business and our Industry 4.0 offerings there," said Daniel Harari, Chairman and CEO, Lectra. "Edouard consistently delivers on our strategic objectives. Our values of innovation and customer empowerment are ingrained into the way Edouard thinks and works, so we look forward to him continuing to grow our business in the Americas." Since establishing operations in the United States in 1982, Lectra Americas has become a strategic partner for fashion, furniture and automotive companies, offering exclusive, integrated technology that can flexibly and profitably meet the rapidly shifting demands of the consumer economy, including the increasing need for customization. At the vanguard of Industry 4.0, Lectra is helping customers to succeed in the digital age with faster and more agile end-to-end product development and manufacturing solutions. "I'm extremely honored to lead Lectra's Americas business and show how our product development and manufacturing technology can make brands more dynamic and able to thrive in our increasingly digital and customization-driven economy," said Edouard Macquin. "Lectra is poised to transform the fashion, furniture and automotive industries and I could not be more excited to accompany our customers in this change." 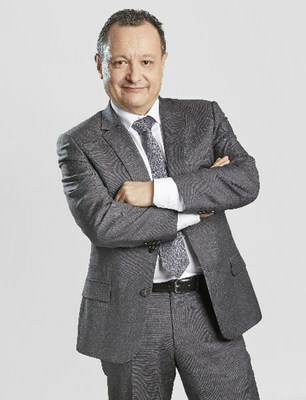 Edouard Macquin holds a Master of Business Administration degree from São Paulo Business School and speaks five languages: French, English, Portuguese, Spanish and Italian. He will be based in the Lectra Americas headquarters in Atlanta.